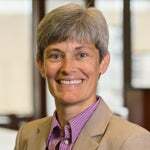 Amy J. Wildermuth is currently dean of the University of Pittsburgh School of Law as of July 2018. Wildermuth joins Pitt Law from the University of Utah where she was a Professor of Law in the S.J. Quinney College of Law and Associate Vice President for Faculty and Academic Affairs at the university. She was also the University of Utah's first chief sustainability officer. Professor Wildermuth earned both a Juris Doctorate and a Master of Science in Environmental Engineering from the University of Illinois. Before joining the law faculty at the University of Utah, she served as a law clerk to Justice John Paul Stevens of the Supreme Court of the United States. She also clerked for Judge Harry T. Edwards of the D.C. Circuit and Judge Guido Calabresi of the Second Circuit. Respected for her scholarship in the areas of civil procedure, administrative law, environmental law, and U.S. Supreme Court practice, Professor Wildermuth’s work has been published in law journals such as the Northwestern Law Review, the Emory Law Journal, and the Minnesota Law Review, among others. In addition to her academic work, Professor Wildermuth has represented several parties as amicus curiae in cases before the U.S. Supreme Court. Professor Wildermuth is also an award-winning teacher who has taught many courses over her career, including Civil Procedure, Property, Federal Courts, Administrative Law, Environmental Law, Wildlife Law, and U.S. Supreme Court Practice. The University of Utah’s S. J. Quinney College of Law recognized her contributions with its Early Career Faculty Award, its Faculty Service Award, and the Peter W. Billings Excellence in Teaching Award. The Lost History of Seminole Rock, Yale J. On Reg. : Notice & Comment (Sept. 12, 2016), (with Sanne H. Knudsen). Unearthing the Lost History of Seminole Rock, 65 Emory L.J. 47 (2015) (with Sanne H. Knudsen). Lessons from the Lost History of Seminole Rock, 22 Geo. Mason L. Rev. 647 (2015) (with Sanne H. Knudsen). The Next Step: The Integration of Energy Law and Environmental Law, 31 Utah Envtl. L. Rev. 369 (2011). Clean Water Act Developments: What Will the Supreme Court Do Next?, 56 Rocky Mt. Min. L. Inst. 19-1 (2010). Standing, On Appeal, 2010 U. Ill. Rev. 957 (with Lincoln L. Davies). Is Environmental Law a Barrier to Emerging Alternative Energy Sources?, 46 Idaho L. Rev. 509 (2010). The Legacy of Exxon Valdez: How Do We Stop the Crisis?, 6 St. Thomas L. Rev. 129 (2010). What Twombly and Mead Have in Common, 102 Nw. U. L. Rev. Colloquy 276 (2008). Bringing Order to the Skidmore Revival: A Response to Hickman and Krueger, Columbia Law Review Sidebar (2007). Why State Standing in Massachusetts v. EPA Matters, 27 J. Land, Resources, & Envtl. L. 273 (2007). Massachusetts v. EPA: Breaking New Ground on Issues Other Than Global Warming, 102 Nw. U. L. Rev. 1029 (2008), 102 Nw. U. L. Rev. Colloquy 1 (2007) (with Kathryn A. Watts). Solving the Puzzle of Mead and Christensen: What Would Justice Stevens Do?, 74 Fordham L. Rev. 1877 (2006). Eco-pragmatism and Ecology: What’s Leopold Got to Do With It?, 87 Minn. L. Rev. 1145 (2003), reprinted in The Jurisdynamics Of Environmental Protection: Change And The Pragmatic Voice In Environmental Law (Jim Chen ed., 2003).